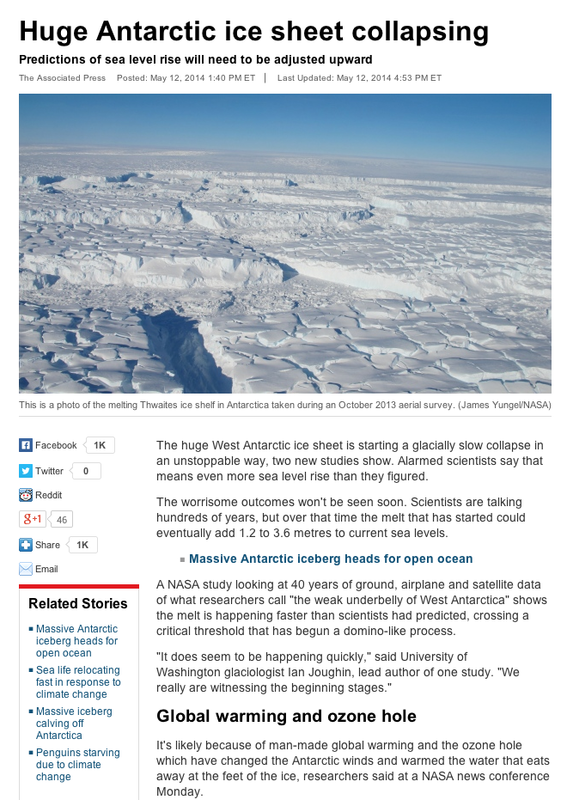 Yet another boogey man story from CBC suggesting that global warming is causing some Antarctic catastrophe. If you actually read the study though, it turns out that a computer model thinks that just one small portion of the West Antarctic Ice Sheet may increase its speed into the ocean in a thousand years. (CBC quotes the low guess of one hundred years but the study says it could be thousands!) That’s right, CBC goes from a wild guess by a computer over an irrelevant time period to catastrophe that is explicitly your fault. What is wrong with these people? Above: Screen Capture from the CBC story which mentions observations but leaves out these observations were then fed into a computer model. Meanwhile in the real world, the exact opposite of these claims is occurring. 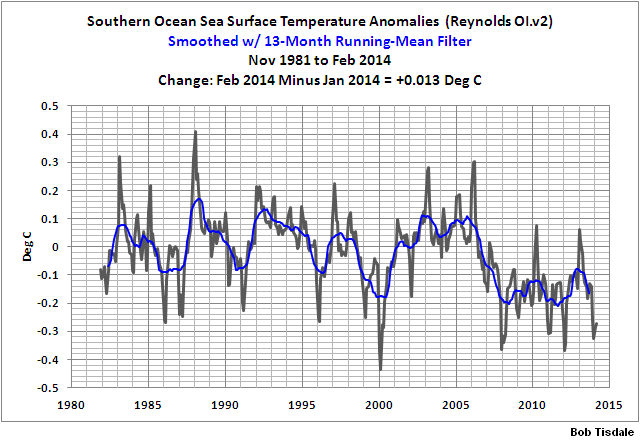 Above: Satellites show long term cooling in Antarctica air temperatures! Above: The real story right now is that seasonal Antarctic ice is higher than ever recorded since accurate satellite data became available in 1980 with nearly 1.5 million more square kilometers than the average!! 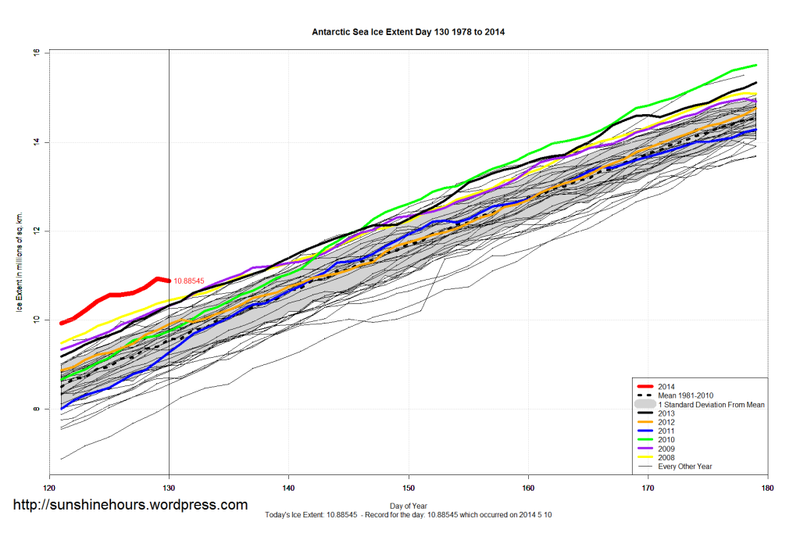 data source is the MAISE multisensor analized sea ice extent data found here. So the article claims warm air is warming the water which is melting the ice. Freely available observational data found in 2 minutes falsifies every single one of those claims. Air is cooling, water is cooling, ice is growing. The disconnect between the scare stories generated by computers that might happen hundreds of years from now, and the actual conditions is staggering. Only in a world where CBC’s funding is taken from me without my consent, can they continue to live in such a fantasy world without repercussions. Disgraceful. Every journalist that silently allows this continual nonsense to persist is quickly digging their own grave as the credibility that remains in this profession evaporates. “The bottom line? In this simulation, the ice sheet does collapse when waters beneath fringing ice shelves warm 7 to 9 degrees Fahrenheit or so, but the process — at its fastest — takes thousands of years. 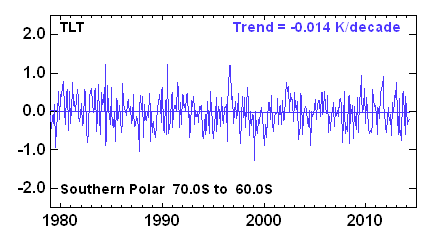 Over all, the pace of sea-level rise from the resulting ice loss doesn’t go beyond about 1.5 feet per century, Dr. Pollard said in an interview, a far cry from what was thought possible a couple of decades ago. He, Dr. DeConto and other experts on climate and polar ice stressed that when Greenland’s possible contribution to the sea level is added, there’s plenty for coastal cities to consider. But for Greenland, too, some influential recent studies have cut against the idea that momentous coastal retreats are likely anytime soon. Over all, the loss of the West Antarctic ice from warming is appearing “more likely a definite thing to worry about on a thousand-year time scale but not a hundred years,” Dr. Pollard said. It would have been nice if Mr Revkin could have also shown as I did that the “if the water warmed” part is not happening at all making this “study” a waste of taxpayer money. 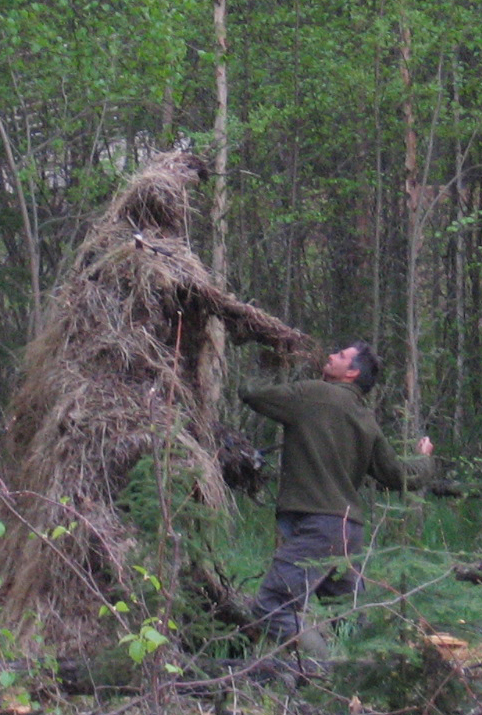 I fought Sasquatch. Who’s next? Martens and Mountains, Unexpected Adventure.